Nestled high in the Rocky Mountains the town of Breckenridge, Colorado is a prime vacation spot for both winter and summer sport enthusiasts as well as those in need of some rest and relaxation. Though there are many places to stay while in Breckenridge, the Marriott’s Mountain Valley Lodge timeshare resort can’t be beat. 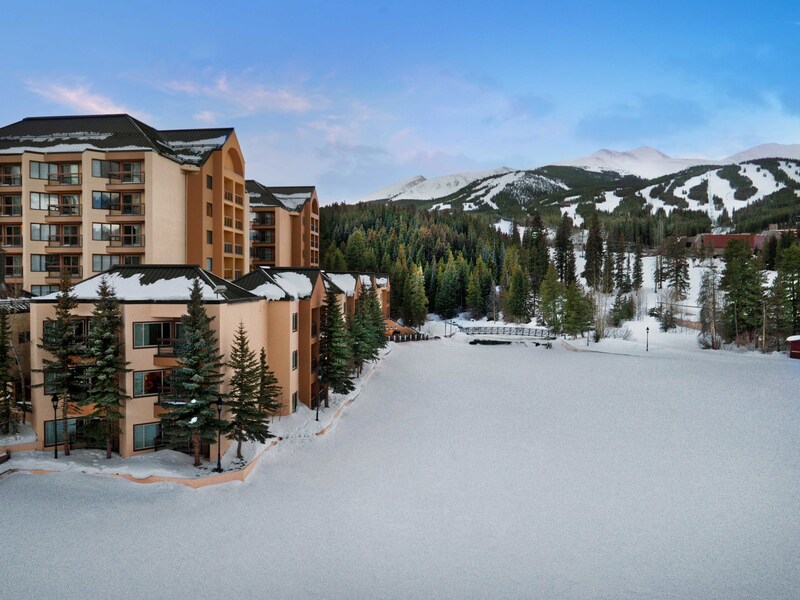 Escape the city and enjoy the quaint atmostphere of Breckenridge when you buy a Marriott’s Mountain Valley Lodge timeshare resale. The quaint gold rush town of Breckenridge with its Victorian architecture and hospitable people is just an hour’s drive from Aspen and less than a half hour drive from Vail. Breckenridge is home to many types of accommodations including high-end timeshares. If you choose to buy a Marriott's Mountain Valley Lodge timeshare resale you will be buying into a premiere destination offering all of the amenities of a world-class venue. With many Marriott’s Mountain Valley Lodge timeshares for sale you can have a piece of Breckenridge of your own to visit year after year. The Marriott’s Mountain Valley Lodge timeshare ownership plan offers a fantastic option for vacation ownership. Each unit in the lodge has a private balcony or porch where you can enjoy some of the most breathtaking mountain views in the world. Timeshare resales available feature one bedroom suites that sleep up to six people and include with full kitchens complete with cookware, dishes, and silverware. All units include roomy bathrooms with jetted tubs, a thirty-two inch flat screen TV with DVD player, and complimentary high speed wireless internet connections. The friendly and helpful staff is an added luxury. When you consider the possibilities of buying a Marriott’s Mountain Valley Lodge timeshare resale you are considering what could be the perfect dream vacation you look forward to every year. In the winter the town of Breckenridge turns into a lovely alpine village at the base of the Arapahoe Basin Ski slopes. When you buy a Marriott’s Mountain Valley Lodge fractional ownership you get the luxury of an onsite spa that offers massage and skin treatments. The lodge includes a pool and a fitness center. The Breckenridge slopes have a total of twenty-seven chair lifts and over 148 trails beginners up through advanced skiers. There is also the convenience of a ski storage facility on the property, and a charter desk which can assist you with your ski and snowboard rentals as well as lift tickets and excursions. With your lodgings and skiing all in the same location a Marriott’s Mountain Valley Lodge timeshare deal is a deal you cannot pass up. Summer in Breckenridge offers white water rafting on the Blue River, boating on Lake Dillon, and hiking or mountain biking on the nearby slopes. The lodge is located on Main Street with plenty of excellent shopping, nightlife, and restaurants to choose from. Summertime brings a variety of different festivals such as the Breckenridge Art Festival, The Jazz and Wine Festival, and the Great Divide Art Festival. The Blue Ridge River Plaza hosts free art, theatre, and kids' performances on weekends. If golf is what inspires you, The Breckenridge Golf Course has twenty-seven holes of golf on a Jack Nicklaus designed course. Anglers are sure to be in heaven with the hundreds of miles of rivers and streams for both lure and fly fishermen to enjoy all year round. The Main Street Station Farmer’s Market is open Sunday mornings from June through September with lots of tasty items such as bread and cheese as well as jewelry, crafts, and flowers for sale. When people opt to sell a Marriott’s Mountain Valley Lodge timeshare they are not only selling a place to stay, they are selling their piece of one of the best accommodations in Colorado. The lodge overlooks Maggie Pond and the majestic Rocky Mountains. A ride up the Colorado Super Chair provides you with a scenic view of the fields of wildflowers in the summer and a quick lift to the top of the ski slope in winter. With several suites at the Marriott’s Mountain Valley timeshares for sale, you are sure to find the perfect home away from home that you can enjoy for many years to come. Search Premier Timeshare Resale’s Marriott’s Mountain Valley Lodge timeshare resales now and let us help you find the best price on the market. If you are asking, how do I sell my Marriott’s Mountain Valley Lodge, you’ve come to the right place. We never charge any upfront fees to sell and get paid a reasonable commission only once your timeshare is sold. See our “Why Sell with PTR?” page for more information or contact us today.